A polymer-modified waterproofing membrane obtained from the modification of distilled bitumen with poly-olefin based co-polymers. 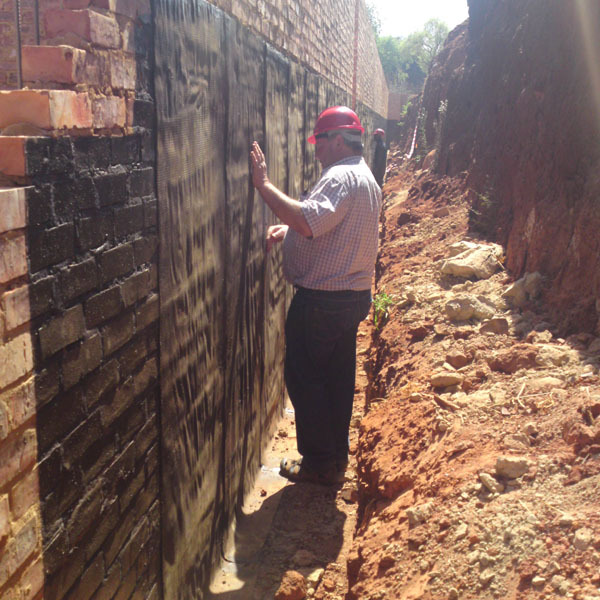 AUTOTAK is a self-adhering waterproofing membrane made of distilled bitumen modified with SBS (styrene butadiene styrene) polymers, with an adhesive coating on the lower face and a self-protecting upper mineral surface. Application is very simple and safe: once aligned the roll in place over a clean and primed substrate, by simply removing the silicone films from the underside and from the selvedge strips, AUTOTAK will adhere in place without the need of a propane gas torch or a hot air machine. Head joints require the use of an approved mastic sealant (COPERGLUE JOINT bituminous adhesive is recommended). The carrier is a composite polyester stabilised with longitudinal glass yarns that combine superior dimensional stability with high tensile strength and elongation values and excellent mechanical properties in general. 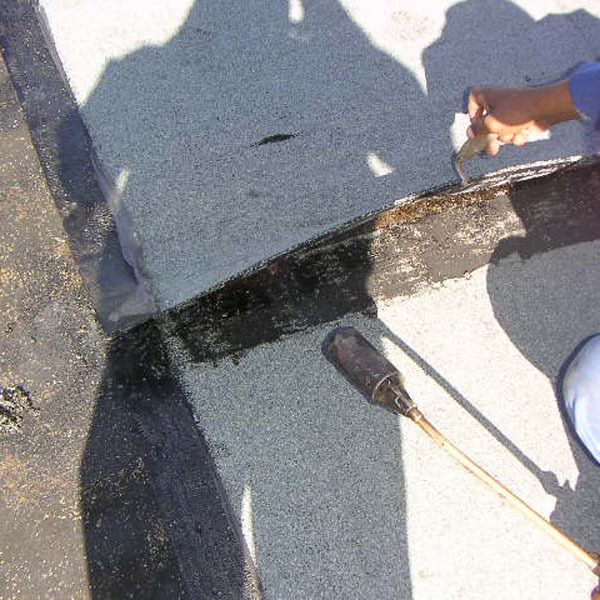 Sintopol Extra is a polymer-modified waterproofing membrane made of distilled bitumen modified with poly-olefins and selected copolymers that make it very adhesive and flexible at low temperatures. 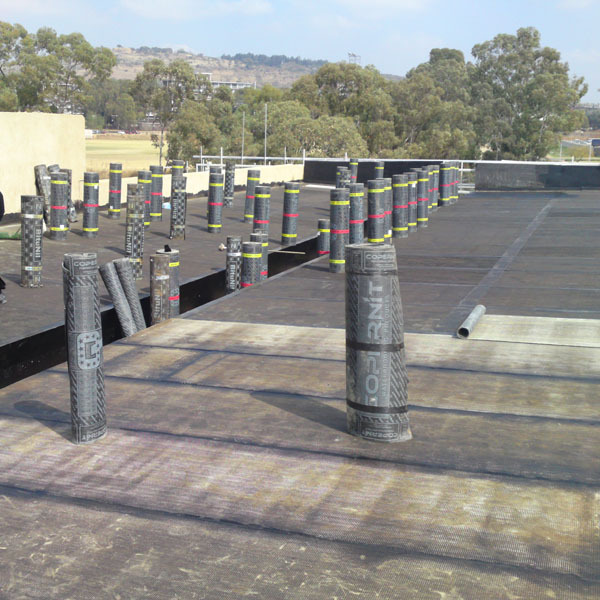 Sintopol Extra is recommended as a base sheet or intermediate layer in multi-layer waterproofing constructions for flat, pitched or vaulted roofs, made of reinforced concrete cast on site or prefab, of terraces, underfloorings, etc. Sintopol Extra is recommended as a base sheet or intermediate layer in multi-layer waterproofing constructions for foundations and ground waterproofing. Y944 Jaycotorch is a prefabricated membrane made of bitumen distillate modified with elastomeric and plastomeric polymers, the product is reinforced with a dual carrier spunbound non-woven polyester filament stabilized with fiberglass. The waterproofing compound obtained through the complete homogenization of bitumen distillate with elastomeric and plastomeric polymers are added with special additives. The upperside of Jaycotorch Y944 is finished with a special inorganic and extremely fine release material which is uniformly spread and calibrated in order to prevent the roll from sticking to itself, and provides anti slip features for applications on sloping surfaces.